Panel discussion at the first of the Mill series debates. (Photo by Claire Grunewald ’20). An hour long panel discussion on safe spaces turned into a two hour long debate on Valentine’s Day at the first of the new Mill Series debates on Tuesday night. This new series was coordinated by Abdul Manan ’18 and government and law professor Brandon Van Dyck. 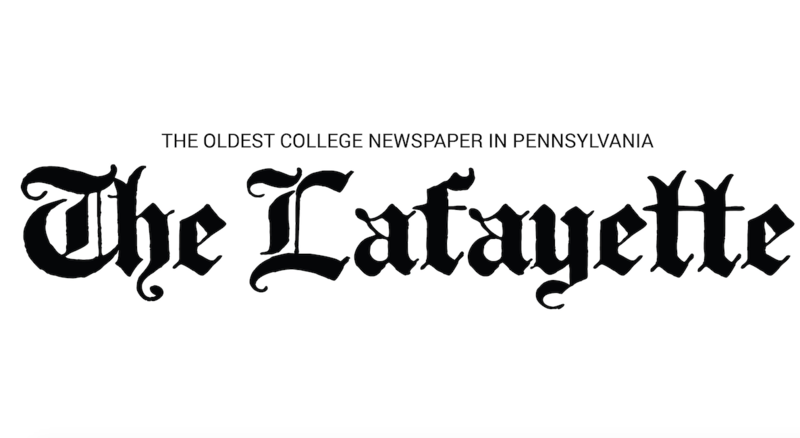 Throughout the semester, and possibly continuing into next year, these panel discussions will address several conservative topics and viewpoints in order to expose students “to the best versions of [conservative] arguments,” Van Dyck said. According to Van Dyck, the Mill Series is built on the idea that freedom of speech is fundamental to society. Manan and Van Dyck created a list of themes that are more common on “the right” to address in future talks. 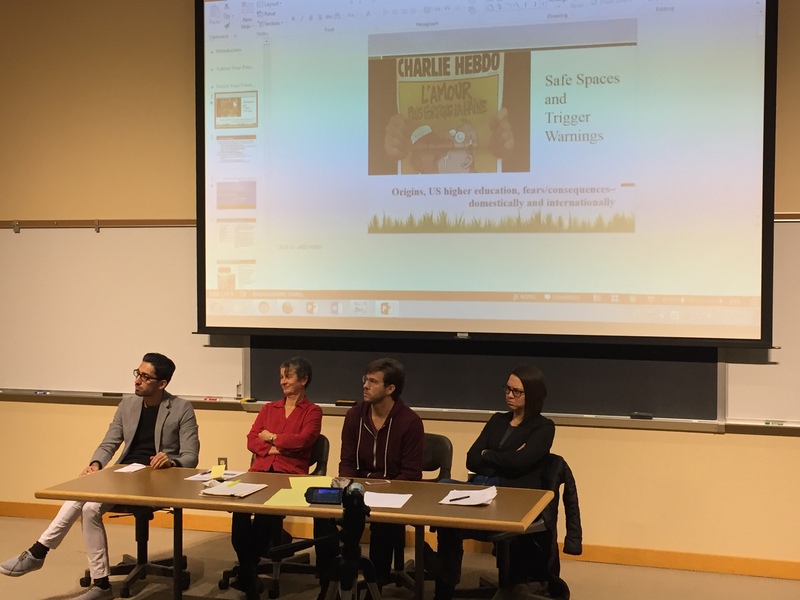 The theme for the first panel discussion, “Are safe spaces bad for students?” generated an almost two hour long discussion amongst both students and faculty. Government and law professor Katalin Fabian and assistant professor of religious studies and Berman Scholar of Jewish studies Jessica Carr were the two lead speakers for the event. Carr said she views safe spaces as the right for any group of students to take themselves out of the larger public sphere and to be alone together. Fabian, on the other, hand expressed the view that safe spaces are problematic and can sometimes be dangerous in restricting the flow of ideas. According to Fabian, people feel they can label whatever they don’t like as terror speech and eliminate it from the world. Student discussant Jovanté Anderson ’19 echoed Carr’s sentiments, saying how as an international student, he felt that safe spaces provided a retreat from engaging with different ideas on a daily basis. The other student discussants at the talk included Joseph Bronzo ’17, Ion Plamadeala ’19 and Ian Morse ’17 (Full disclosure: Morse is the managing editor of The Lafayette. He did not edit this article, and his views do not represent that of the paper). “We try to get panelists who represent a variety of viewpoints, but we don’t tell them you have to argue this,” Van Dyck said. This variety of viewpoints is meant to be presented in a loose panelist format. According to Van Dyck, ideally three lead speakers will each give five minute presentations followed by comments from the chosen student discussants in order to start a question and answer session amongst the audience. This audience involved conversation occurred on Tuesday, with several different students raising their opinions and questions, according to Bronzo. “I think it evolved beautifully because it became a natural conversation where members of the audience contributed, and, actually, there was a point-counterpoint pattern that took place between individuals,” Bronzo said. The idea for the Mill Series came from Manan who addressed Van Dyck about his desire to create a place for open intellectual conversation. “I spoke with professor Van Dyck that we should have some sort of a platform of this kind, because the discussions on this campus are mostly on the left,” he said. “It is very hard for you to argue anything intellectually if you don’t know the most persuasive position from the other side,” Manan added. Van Dyck agreed with Manan. “I think that college faculty have become a little too homogenous in their thinking over the decades and I think that it’s very important if we’re in the pursuit of truth for all reasonable perspectives,” he said. Van Dyck agreed with Manan that the turnout for the event was considered successful. However, Van Dyck felt that there was room for improvement. “We sort of spent the whole time talking in very general terms about the concept of safe spaces and what the potential upsides and downside might be…as a consequence we never really, except in passing, addressed specific instances…or concrete examples,” Van Dyck said. In the future, Van Dyck hopes to have topics that are more black and white in nature. According to him, the next panel discussion will take place sometime in the next three weeks, and will address the topic of the migrant refugee crisis in Europe.